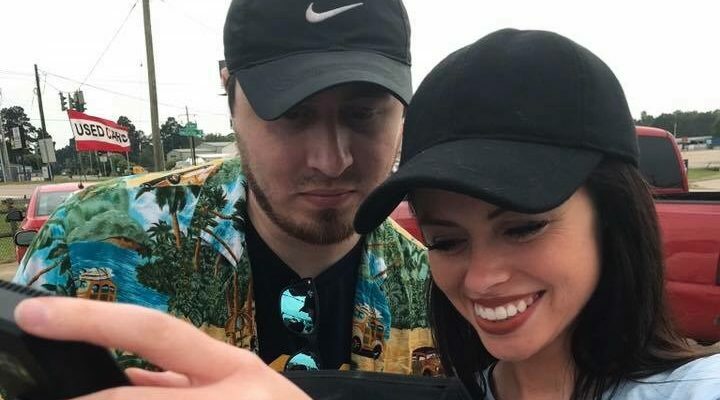 Before they even met each other, Bossier couple, Melissa and Josh Munds were both interested in film. Josh remembers getting a camcorder to record his friends doing skits. Melissa was a digital media production major in college. So, it should come as no surprise that once these two got together they continued to pursue their passion for filmmaking. 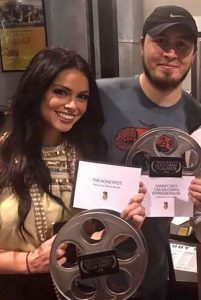 This year was especially exciting for the two because they each made films that made it into the Louisiana Film Prize Top 20. 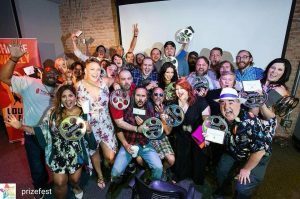 Since 2012, Film Prize has brought together local film lovers and filmmakers for the annual film contest and festival. There will be 20 films competing this year for the $50,000 grand prize and both Josh and Melissa have a film in the running. Even though, the two are supposed to be competing against each other. They were very involved in the making of each other’s films. Melissa was the editor for both her film, “The Honeypot” and Josh’s film, “Sammy Dees: Car Salesman Extraordinaire.” She was also 2nd camera operator and producer for Josh’s film. Josh was the asst. director and producer for Melissa’s film. In fact, she says her and Josh were a part of other films that are competing in Film Prize. The first time Melissa and Josh attended Film Prize, they went to a screening in Bossier. Last year, Josh directed a film called, “Death Day” which made it into the competition. Melissa was inspired this year to join in on the fun and make her own film. Melissa’s film, “The Honeypot” is about a group of women that meet two interesting individuals — a flirty, overconfident man, and… his mommy. Learning the pair are involved in the casting business, the women are invited to a surprise, late-night audition for the director’s latest film. Two of them take the bait. She says she wanted to create a film with strong female leads. Josh’s film, “Sammy Dees: Car Salesman Extraordinaire” is a tribute to old time comedians. Josh originally wrote the story as a skit, but it kind of snowballed from there. The film will tell the story of Sammy Dees as he either faces the changing times or loses his once-famous car dealership. Josh says once he met actor Jeremy Smith, he knew he found his lead. 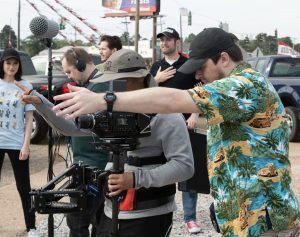 When they aren’t working on Film Prize shorts, the Bossier couple both have incorporated film production into their professional lives. Melissa works as a Video Producer/Marketing Communications Specialist for Hardware Resources in Bossier. Josh does promotional videos for websites and local businesses as freelance work. Together, they created NewMunds Productions where they post online shorts and skits. Both of them love living in Bossier. Melissa says she couldn’t imagine living anywhere else. In the future, they will continue to do what they love. Melissa and Josh encourage everyone to come out to Film Prize this year because it’s a great way to support locals. You can watch both of their films at the Louisiana Film Prize this year from Oct. 3-7 at various locations. Click here to purchase your tickets.